Jakarta (Indonesia) – August 3, 2018 (travelindex) – Best Western Hotels and Resorts has celebrated the opening of an exciting new hotel in the heart of Jakarta’s vibrant downtown district. 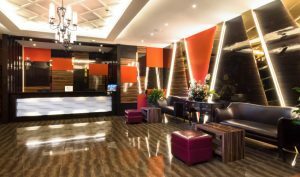 Best Western Senayan Hotel is a modern midscale hotel located on Jalan Asia Afrika, a main thoroughfare in Central Jakarta. This cosmopolitan area is home to multinational companies including Google Indonesia and Citibank, plus luxury lifestyle malls such as Plaza Senayan, which houses top brands like Dior, Gucci and Louis Vuitton. The hotel is also just moments from the Jakarta Convention Center, which hosts major international events and concerts, and the 76,000-pax capacity Gelora Bung Karno Stadium, which will be the main sporting arena for the 2018 Asian Games. A new-build hotel and developed by the leading Indonesian company, PT Mandiri Karya Indah Sejahtera, guests are sure to enjoy all that the Best Western Senayan Hotel has to offer. Supported by Best Western’s legendary service standards, the hotel features 137 contemporary rooms, all equipped with comfortable beds, power showers and complimentary Wi-Fi. There is also a selection of triple rooms which are perfect for families. The hotel’s restaurant serves daily buffet breakfast, followed by a choice of local, pan-Asian and international cuisine throughout the day. For corporate travelers, there is a business corner and six modern meeting rooms. “The opening of Best Western Senayan Hotel marks another major milestone in the development of our Indonesian portfolio. With its perfect location and international amenities, this excellent hotel becomes an exciting new midscale option in downtown Jakarta. I would like to thank and congratulate PT Mandiri Karya Indah Sejahtera for creating such an impressive project,” commented Olivier Berrivin, Best Western Hotels & Resorts’ Managing Director of International Operations – Asia. “Indonesia is a key market for Best Western. Following the opening of our fifth property in Bali late last year, and now this exciting new development in Jakarta, we operate a diverse collection of 17 hotels and resorts in the country. We will continue to seek new opportunities bring our industry-leading brands to destinations all across Indonesian archipelago in future,” Olivier added. Best Western Senayan Hotel becomes the company’s fourth hotel in Jakarta, joining Best Western Mangga Dua Hotel & Residence, Best Western Plus Kemayoran and Best Western Premier The Hive. This means that visitors to Jakarta can now choose from three distinct brands when they travel to the Indonesian capital: classic midscale Best Western, upper-midscale Best Western Plus and upscale Best Western Premier. The new property also joins a collection of 17 Best Western hotels and resorts across Indonesia, located in key destinations such as Bali, Surabaya, Solo, Bandung, Batam, Makassar, Medan, Manado and Palu.